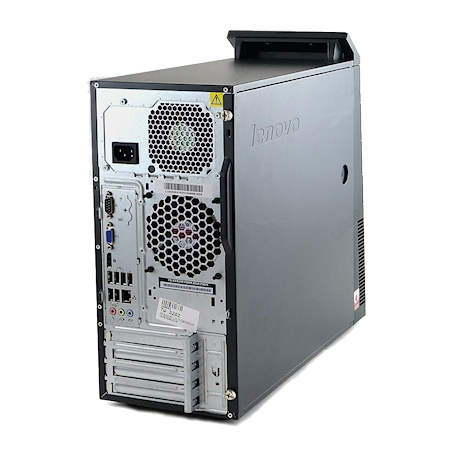 Lenovo ThinkCentre M90p TWR tower PC kopen? | That's IT! Door topfabrikant Lenovo geproduceerd modern en vlot towersysteem, uitgevoerd in zakelijk zwart. Licht gebruikt en in keurige staat. Compleet uitgevoerd met een supersnelle Intel Core i5 3.2GHz processor, 4GB intern geheugen, een 160GB harddisk, snelle videokaart, DVD-brander en legitieme Windows 7 Professional software. BRILLIANT BUSINESS DESKTOPS — POWERFUL. STABLE. SECURE. 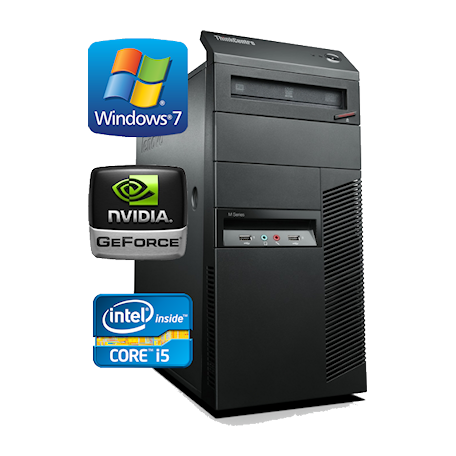 The Lenovo ThinkCentre M90 / M90p desktop is designed for Enterprise Businesses seeking optimum performance with maximum investment returns. 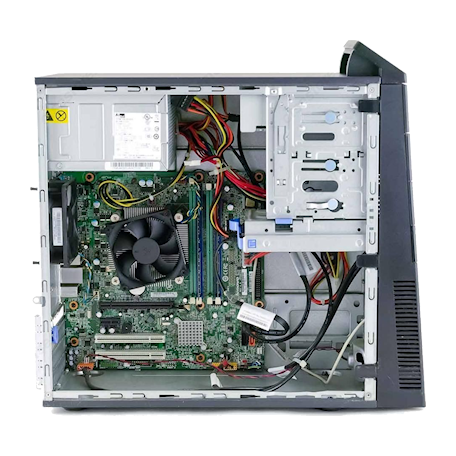 This best-in-class desktop meets your sophisticated computing needs with industry-leading performance. The ThinkCentre M90 / M90p desktop is available in three standard form factors—Tower, Small Form Factor (SFF) and Eco Ultra-Small Form Factor (USFF). Experience ultimate performance and multi-tasking of applications with the latest family of Intel® Core™ i series processors, offering Intel® Turbo Boost and Intel® Hyper-Threading technologies. The ThinkCentre M90 / M90p gives excellent graphics experience and has a clear edge over existing desktops. Productivity gets a real boost with the preloaded new Windows® 7 Lenovo Enhanced Experience which has very fast boot-up and shutdown times with multi-touch support. Get a full PC experience, data security, remote data management and worry-free storage with the latest Secure Managed Client (SMC) 2.0 and Intel® vPro™ technologies. These in turn drive down costs, downtime and desk-side visits. The Active Management Tool, a part of Intel® vPro™ technology is designed to work independently of the operating system. Data security is of prime importance for all leading businesses. ThinkCentre M90 / M90p configured with the available Hardware Password Manager tool reduces password-reset time of the hard drive significantly. Optional PS/2 ports prevent unauthorized data access and virus attacks through USB peripheral devices. Save on power costs with the Energy Star® compliant Power Supply Unit and the Lenovo Power Manager tool. The ThinkCentre® M90 / M90p re-affirms its commitment towards a green environment. The desktop is now built with up to 42% Post Consumed Content 1 (PCC), which is the industry’s highest, with the minimum use of plastic. 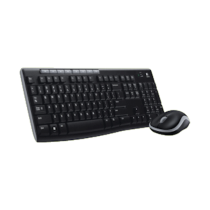 Ergonomically designed ThinkCentre M90 / M90p offers the Power button on top, thus avoiding the need to bend to turn your PC on. The tilted front design of I/O ports allows to plug-and-play devices easily and the top carry handle offers easy portability. The amazing ThinkCentre M90 / M90p is a smart choice for all businesses requiring high-performance, excellent data security and quick returns on investment.